It is amazing that we are so given to pride, to boasting and bragging, and that we glory in such things as our beauty, riches, noble birth, power, skill, wisdom, honorable life, good works. . . . If we want to boast, then let us boast that we receive from the fullness of Christ. . . . Whoever wishes to be safeguarded from the devil’s might and to escape sin and death must draw from this well, Christ; from Him flows all salvation and eternal bliss. This fountain is inexhaustible; it is full of grace and truth before God; it never fails no matter how much we draw from it. Even if we all dip from it without stopping, it cannot be emptied, but it remains a perennial fount of grace and truth, an unfathomable well, an eternal fountain. The more we draw from it, the more it gives. . . . This entry was posted in Luther, The Expositor on 17 August 2011 by theexpositor. My dear pope, I will kiss your feet and acknowledge you as supreme bishop if you will worship my Christ and grant that through His death and resurrection, not through keeping your traditions, we have forgiveness of sins and life eternal. This entry was posted in Apostasy, Luther, Rick Warren, The Expositor on 20 May 2011 by theexpositor. 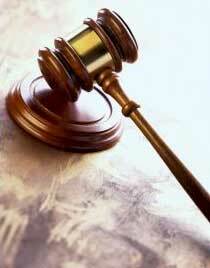 This entry was posted in Films/Video, Luther, The Expositor on 15 November 2010 by theexpositor. The Center for Church Music-The one hymn that most symbolizes the Protestant Reformation is "A Mighty Fortress Is Our God." 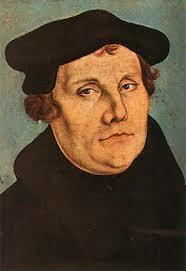 In it, Martin Luther proclaims his confidence in God and rallies all Christians to war against evil. Basing his words on Psalm 46, he victoriously states "We will not fear, for God has willed His truth to triumph through us." Those persecuted and martyred for their convictions during the Reformation sang these words. 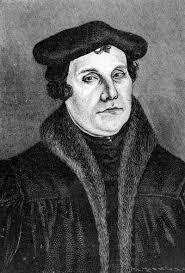 Luther understood the power of evil: After he posted his ninety-five theses on the door of Wittenberg’s Castle in 1517, he faced years of trials and persecution, he was excommunicated from the Roman church, and he continually faced threats against his life and his freedom. Other reformers had been persecuted and burned at the stake. But he also knew "God is our refuge and strength, a very present help in danger" (Psalm 46:1) and so he wrote "A Mighty Fortress is our God," proclaiming boldly that "the prince of darkness grim, we tremble not for him . . . one little word shall fell him." Since he wrote it in 1529, Luther’s hymn has been translated into nearly every language. There are said to be over eighty English translations alone to this hymn, but the version most used in the United States is the translation by Frederic Henry Hedge in 1852. The first line of "A Mighty Fortress Is Our God" is inscribed on the tomb of Martin Luther at Wittenberg. And its powerful words and tune continue to live. The hymn was sung at the funeral of President Dwight D. Eisenhower at the National Cathedral in Washington DC, March 1969. And it was also included in the National Service of Prayer and Remembrance, held shortly after the September 11, 2001 attacks against America. This entry was posted in Church History, Hymns, Luther, Music, The Expositor on 7 September 2010 by theexpositor. This entry was posted in Justification, Luther, R.C. Sproul, Sanctification, The Expositor on 30 August 2010 by theexpositor.